So the word is out, Microsoft has re-released MDT 2013 update 1 after several bugs and errors have come forward during the deployment of Windows 10. Each new version means that if you use scripts which have a dependency with tools such as MDT, you’ll need to check it for compatibility. 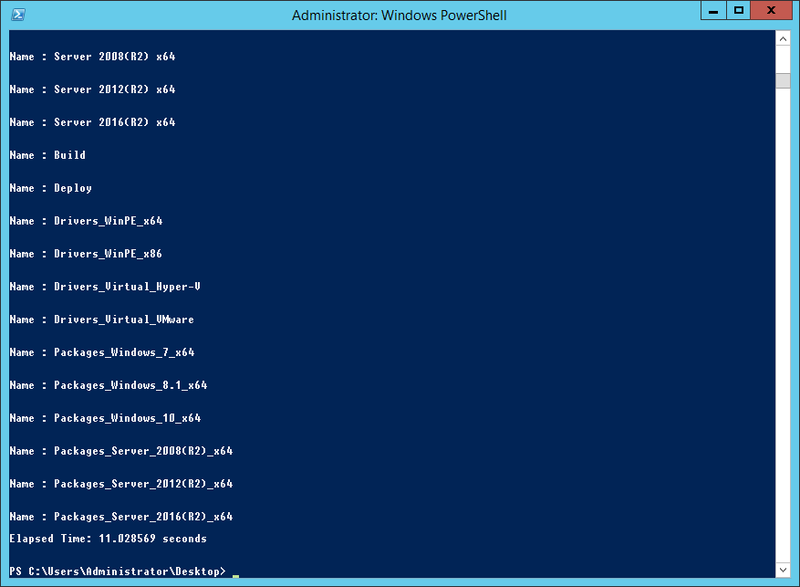 Since two years now I rely on configuring an entire deployment share environment by powershell. 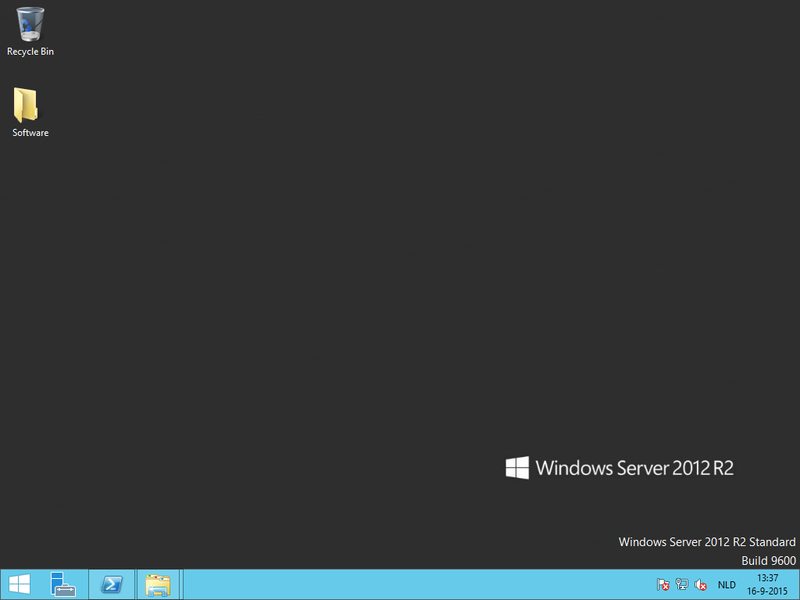 Since clicking and mouse pointing my way through ADK and MDT setups were killing my brain cells one setup at a time. Script 1 will: Automatically download Windows ADK for Windows 10, and MDT 2013 update 1 Build 8298 to the folder from where the script is executed and create a “Software” folder where the content’s are stored. Once the downloads are completed both tools are installed with default settings silently. 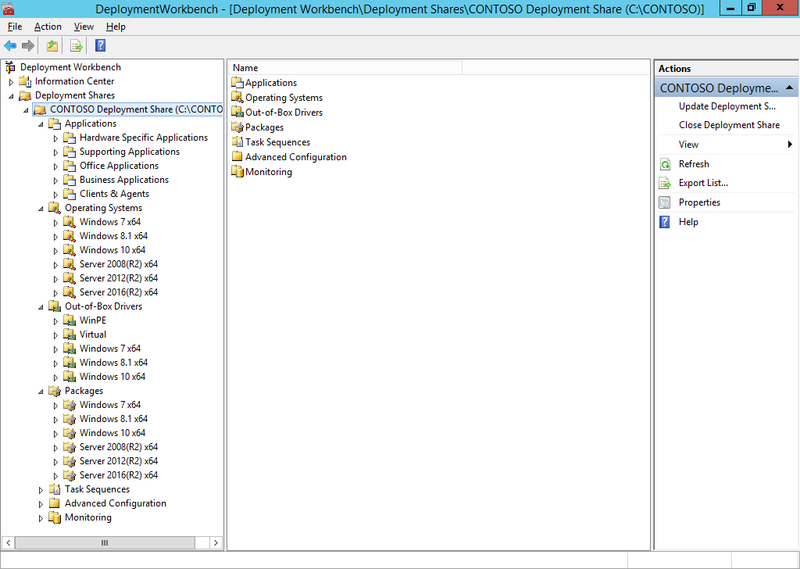 And lastly the script will enable the .NET framework and WDS feature / role to configure the server as a MDT deployment server. 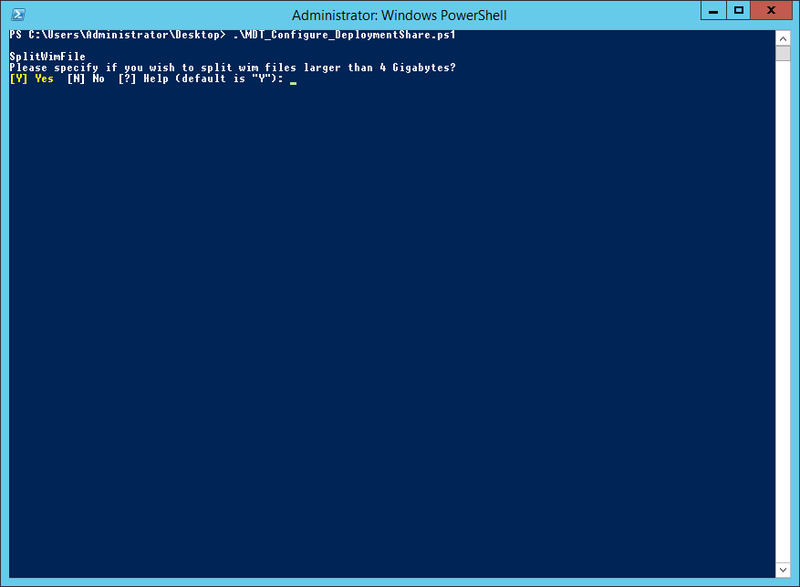 Script 2 will: First ask you if you want to split wim files prior to configuring the deployment share. I’ve incorporated this question, since 4 Gb is the FAT32 file size limit and this is a need little option to instantly make your FAT32 UEFI deployments work! Next it will automatically configure an entirely new deployment share in a matter of seconds, with a logical folder structure. 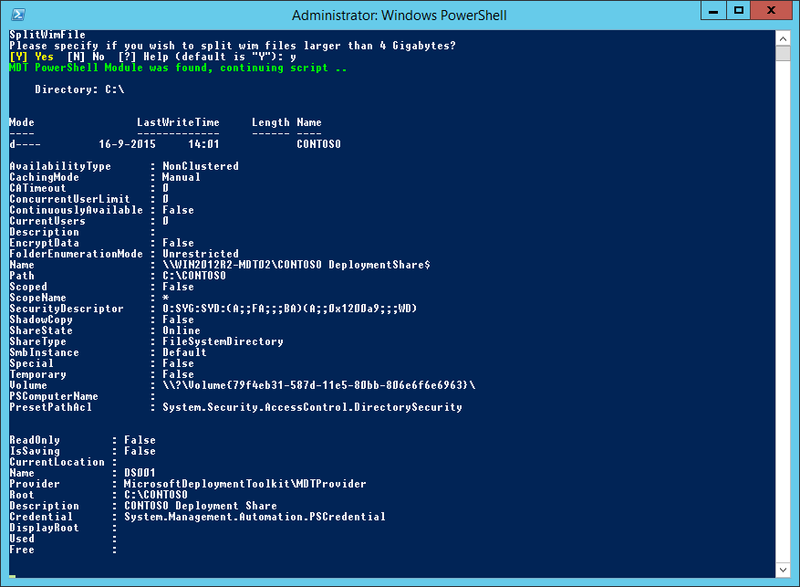 Selection profiles, the configuration of WinPE settings and the overall Settings.xml, read more about it here: MDT2013 – Configure everything with Powershell!!! Now how does this look? figure 2.2: Script in progress..
I’ve verified the links, they appear to be working again, please let me know. can move the scripts to github then we dont have to worry about links not working. Any chance you have a newer version available for 8450? 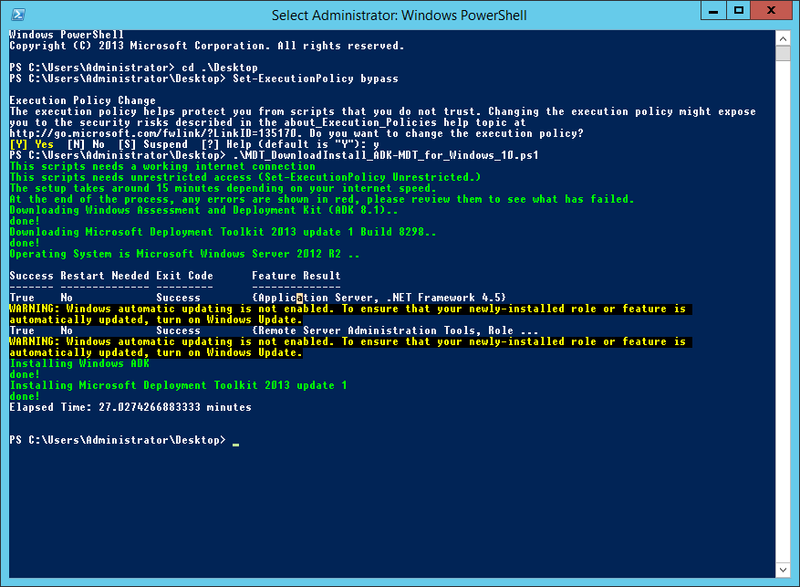 Looking to start getting more info on automating the builds of the scaffolding of MDT along with adding automated VMware Template builds via MDT. 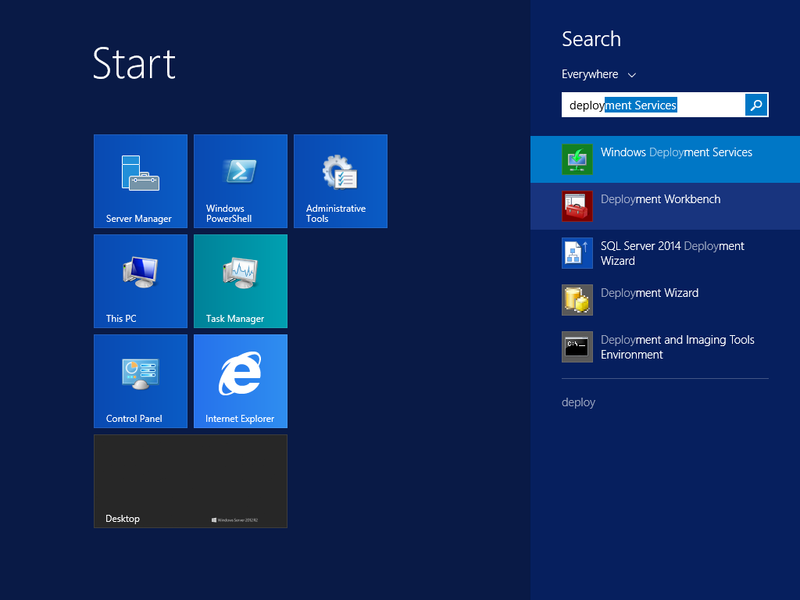 Just found your blog and you seem very well versed in MDT – thanks for sharing! Helps guys like me that are so up today on these methods! Thanks for reaching out. I’m not aware of any version newer than 8450. Glad you value the articles I wrote.